I just want to take this time to tell what I am thankful for this year (man, is that cliche or what?). 2. That, even though money is tight, we can afford to make a nice meal and have people over to share it. 3. Always for my family who I love and who have always helped me and supported me. 4. For my friends who I love and cherish and who mean the world to me. I couldn't do it without you all. 5. For my boyfriend, through good times and bad. I love you. 6. That I have a job that I (usually) enjoy. I know using my degree to work at Starbucks may not really be the dream, but I am enjoying it while I can. 7. 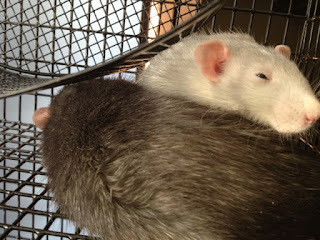 Romulus and Remus, our pet rats. A small thing to be thankful for, but they are great to have around. I love taking care of them and spoiling them and they make our home never feel empty. And they are so cute! What's not to love? 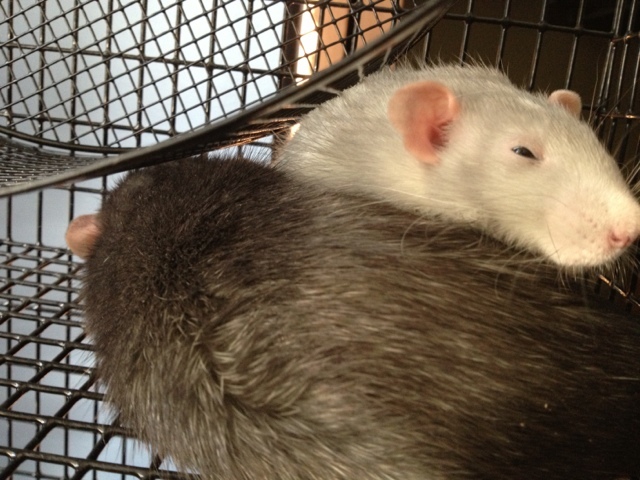 Sleepy rats in a rat pile! Happy Thanksgiving everyone! I hope it is full of wonderful food and great company!